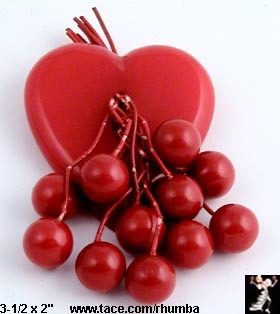 Quality Vintage Costume Jewelry, Rhinestone Jewelry, Bakelite Jewelry, Sterling Silver Jewelry, Cameos, Period Jewelry, Antique Jewelry, Estate Jewelry, Collectible Contemporary Jewelry, Pageant Jewelry, Prom Jewelry & Bridal Jewelry, Rhinestone & Simulated Pearl Tiaras, Rhinestone Accessories, Trinket and Jewelry Boxes, Antiques and Collectibles to Buy Online. ON ALL DOMESTIC ORDERS OVER $25. CELEBRATING OUR 19TH SUCCESSFUL YEAR ON THE INTERNET! Rhumba! extends sincere gratitude to servicemen and women who defend our freedom throughout the world. CLICK HERE TO GO TO OUR ST. PATRICK'S DAY JEWELRY, SHAMROCK PINS, SHAMROCK EARRINGS, SHAMROCK BRACELETS & SHAMROCK JEWELRY GALLERY! CLICK HERE TO GO TO OUR CREEPY HALLOWEEN JEWELRY GALLERY (IF YOU DARE) ! CLICK HERE TO GO TO OUR MARTINI, COSMOPOLITAN & CHAMPAGNE JEWELRY CELEBRATION GALLERY! CHEERS! 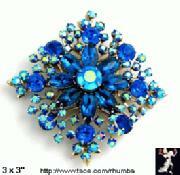 Click Here to Visit Our Rhinestone Pin, Rhinestone Brooch and Granny Brooch Gallery! 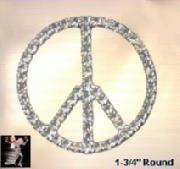 Vintage and Contemporary Rhinestone Pins Are a Fashion Must This Season! Click Here to Visit our Juliana/DeLizza & Elster Vintage Jewelry Gallery! 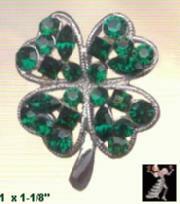 CLICK HERE TO GO TO OUR JUDY-LEE VINTAGE JEWELRY GALLERY and VINTAGE JUDY-LEE JEWELRY CATALOG! 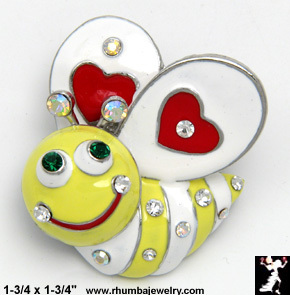 Click here to visit our Valentine Jewelry & Gifts Gallery! One Free Domestic Shipping on Orders over $25. Ceramics & Pottery 5 New! Perfume & Scent Collectibles 34 New!